With the enthusiasm and international vision of its new young director, Fabrizio Moretti, the Florence International Biennial Antiques Fair - BIAF, has inaugurate a new instrument of communication, information and image for the 2015 edition. 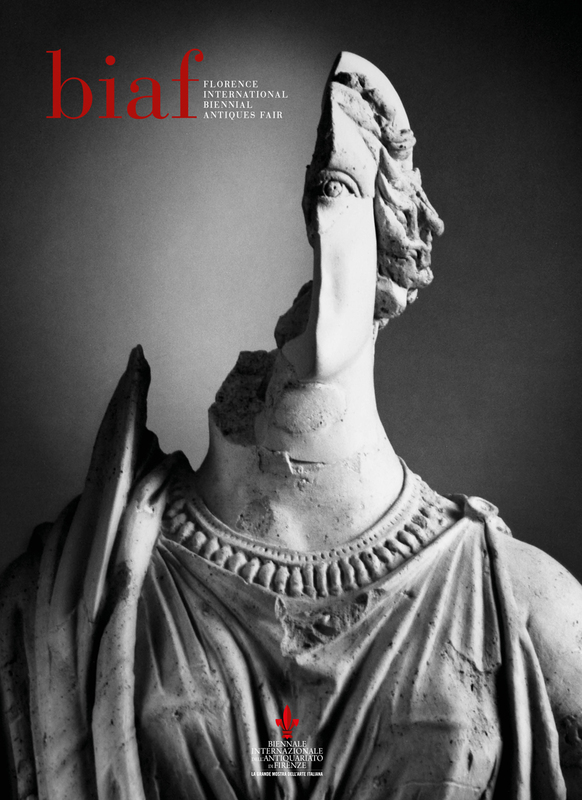 A new MAGAZINE - in English and Italian, large format and elegant graphics - will do much more than simply describe the identities and news of the antique dealers participating in the show. It will inquire, report and illustrate with facts, opinions, interviews and photographs the extraordinary and extravagant world that they bring with them. Naturally, it will also create the intriguing and indispensable links between the international universe of antiques and the city of Florence. Florence, a special place, an authentic source of profound debates concerning art and culture, a city privileged to enjoy a contemporary life style dedicated to beauty, wisdom and excellence, will be one of the protagonists of this new and fascinating review. The cover of the first issue is an unpublished shot (a detail of the statue of Perseus by Benvenuto Cellini) taken by the master Aurelio Amendola. The work will be exhibited at the 29th Biennale and donated to the exhibition. Total circulation is 10,000 copies. A part was sent two months before the opening date to international and Italian opinion leaders, the rest will be distributed to visitors during the show.